Adding yet another job on his CV, Senator-elect Manny Pacquiao is also now a technology investor. 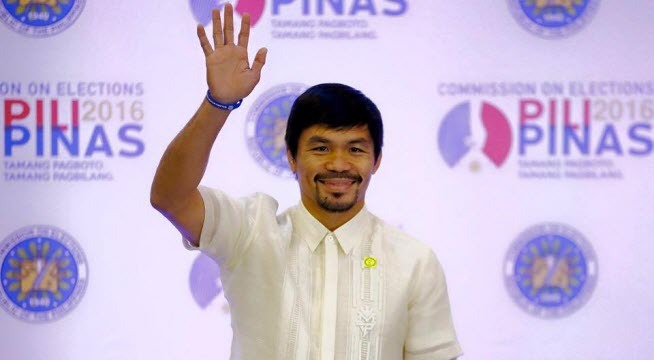 On June 6, boxing star Pacquiao bought shares in Singapore-based mobile gaming company, Gtoken for an undisclosed amount. Both parties refused to share the specifics of the deal but the company even flew in to General Santos City for the signing. The $60 million-company publishes crowdsourced mobile games which uses virtual currency for players to use for in-app purchases, TechinAsia reported. The company now has over a million users in Southeast Asia and China. It looks like the film The Matrix is not so far-fetched anymore. In a bold move, Microsoft announced it will open its holographic platform, HoloLens to other manufacturers, encouraging “mixed reality” or augmented reality where virtual reality may interact with the real world and other devices in a single platform. While the more famous virtual reality devices immerse users in a “fabricated world,” augmented reality devices let users to continue to be in touch with their real-time surroundings. Experts see it would likely drive down augmented reality devices prices further as the HoloLens currently has a price tag of $3,000.